● Functional integrated strength training. 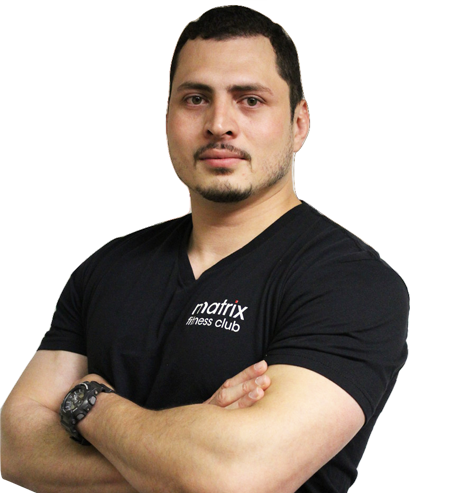 Jose is a certified personal trainer and Physical Therapist Assistant. With over 10 years of experience in the fitness industry he has managed training departments for some of the most the recognized clubs in New York City. Over time, his personal training and coaching methods have evolved to provide impeccable results for his clients. Throughout these years he has acquired different specialties to fit a wide variety of the population. Teaching his clients personal accountability to ensure they maximize their potential and realize their best selves. His training philosophy consists of educating the brain which is responsible for all movement and muscle contractions to ensure the mind muscle connection. He believes that learning this concept throughout your training will teach you how your body mechanics operate, achieving maximum muscle hypertrophy and fat loss which benefits size in skeletal muscle to provide longevity and strength.